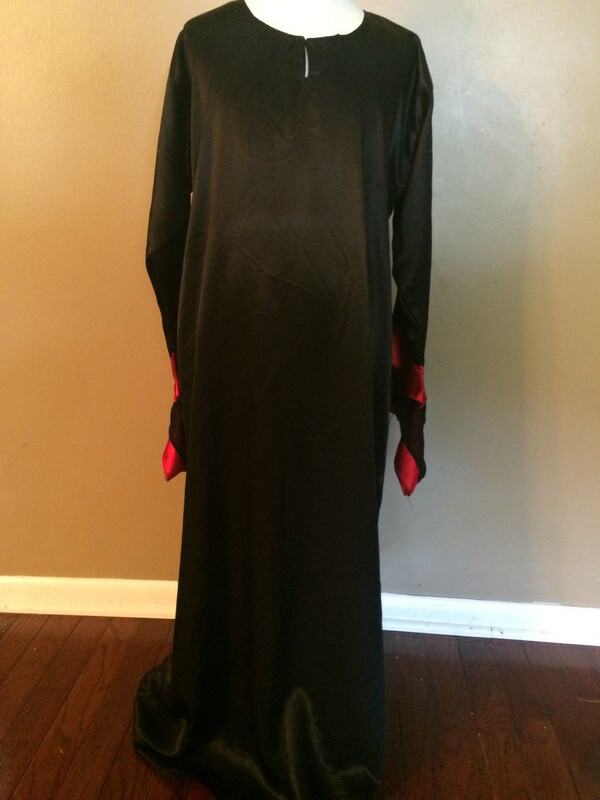 Black a-line abaya with red and lace princess bell sleeves. Size 44. Khimar included.